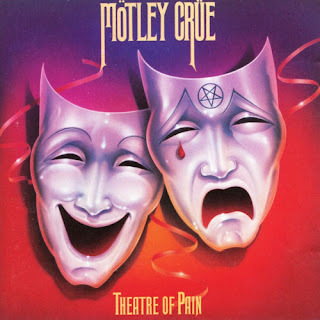 Hall of the Mountain King: Still Spinning: Motley Crue, "Theatre of Pain"
Still Spinning: Motley Crue, "Theatre of Pain"
When talking about Motley Crue’s classic 1980s albums, Theatre of Pain usually gets ranked at or near the bottom of the list. Even bassist Nikki Sixx has gone so far as to call it “rubbish.” I was thinking about the record as I was being subjected to an awful country-pop version of “Home Sweet Home” in a restaurant recently and, looking back, I believe it might have gotten short shrift. Theatre of Pain had a couple of things working against it at the time. First, it came on the heels of two really good albums. The debut Too Fast for Love was glitzy, raunchy, raw and energetic. They followed that up with the more metallic and angry Shout at the Devil — which is for my money, the band’s best outing. Those are a couple of tough acts to follow. Second was the commercial success that came with it. Here’s a band that was throwing pentagrams around and telling us to shout at the devil a couple of years before, playing a piano ballad and pining wistfully for “Home Sweet Home.” Theatre of Pain brought the band’s first true radio hits, and arguably helped launch the “hair metal” ballad glut of the late 1980s. 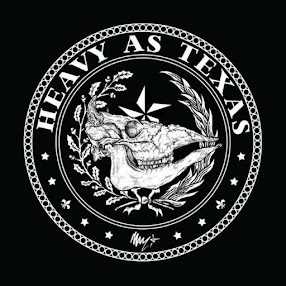 We metal fans are notorious for turning on bands that show any hint of commercialism, and it represented quite a shift. If you listen to the album from the perspective of 30 years later, though, there’s definitely a slightly more commercial bent to it, but I also think there’s still plenty of that tough, hard rocking band from the first two albums, too. I’d argue, in fact, that Theatre of Pain is a better album than Girls, Girls, Girls — which, “Wild Side” notwithstanding, was a pretty lightweight and glitzy record. Let’s start with the album’s heaviest track, “Louder than Hell.” Granted, this was a reworking of the song “Hotter than Hell” that was demoed for Shout at the Devil, but it definitely provides some oomph to the Theatre of Pain lineup with a big, heavy riff from Mick Mars and some strong hooks. Likewise, “Keep Your Eye on the Money,” captures that raw, energetic, hard rocking spirit from those early albums. I think those two tracks might be two of the most underrated in Motley Crue’s catalog. They rarely get any love, but they’re both far better songs than some you’ll find on the band’s best albums. A cover of Brownsville Station’s “Smokin’ in the Boys Room” may have been their breakthrough moment, but it’s a song that was tailor-made for the Motley Crue treatment. In fact, it so suits the band that a lot of people don’t remember that it was a cover, despite the fact that it charted higher for Brownsville Station (No. 3 in 1973) than for Motley Crue (No. 16 in 1985). LeeAnn Rimes even recorded it for a Crue tribute last year, even though it’s not really their song. The song was part of a concerted effort on the album to try to re-establish the band with a blues rock background, with Mars pulling out the slide on just about every solo. That effort started with the first track on the record, “City Boy Blues.” It was less successful than “Smokin’ in the Boys Room” and the weakest track of the five on the A side, but still not a bad way to round it out. The B side is a little sketchier, but what Motley Crue album isn’t? “Tonight (We Need a Lover)” opens the flipside with another bit of attitude and another nice Mars riff. This one almost rises to the level of “Louder than Hell” or “Keep Your Eye on the Money” from the A side. “Use It or Lose It” sets a frenetic pace, but gets old as it goes on. As a kid, the glam stomp of “Raise Your Hands to Rock” was one of my favorite tracks on the record, but it doesn’t hold up as well 30 years later. I never really liked “Fight for Your Rights,” and I still don’t. One interesting track on the second side, though, is “Save Our Souls.” Again, it’s a strange shift from shouting at the devil to “save our souls for the heavens, save our souls for the Promised Land.” There is a certain heaviness to the track that’s appealing, though, and while Vince Neil can’t come close to the soulful vocals that he tries to pull off in places, it’s still a solid song. Theatre of Pain most definitely doesn’t equal the power of Shout at the Devil or the sleazy fun of the band’s most successful record Dr. Feelgood, but it’s far from their worst outing. I’d argue that it’s at least the equal of, if not better than Girls, Girls, Girls, and compared to latter-day stinkers like Generation Swine and New Tattoo, it’s practically a masterpiece. 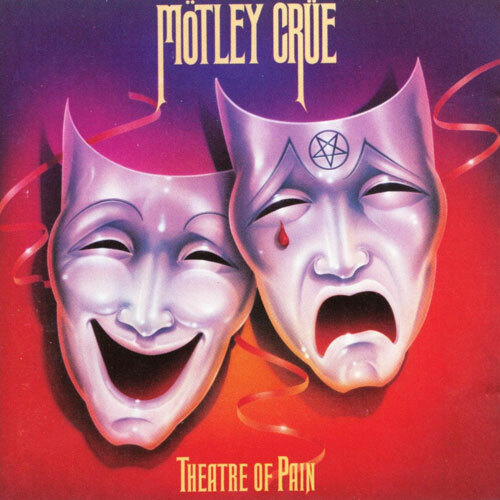 If you’re a Motley Crue fan that hasn’t picked up the record in a while, I think it’s definitely worth a fresh listen. Review: Iron Maiden, "Book of Souls"